Today being Monday I was included once again in the Total Mind and Body Fitness Blog Carnival over at FitBuff. I submitted my post on exercise supplements that could be damaging your heart. This post detailed the fact that some nutritional supplements contain an antioxidant which actually damages the heart by making it think you’re not getting enough oxygen. If you haven’t read it I encourage you to click through and take a look. This week the carnival featured a number of good posts but one in particular stuck out as me as fascinating; a true must read. Darwin over at Darwin’s Finance posted Will Resveratrol Benefits Create the Biggest Blockbuster Drug Ever? 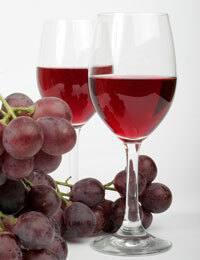 This post went into great depth describing the science behind resveratrol as well as the hype behind the supplement. He tied the concept of this supplement into longevity and why it works and even tied the workings of the supplement to many of the same longevity secrets that we already know such as practicing calorie restriction and drinking red wine. Scientists have actually determined that both calorie restriction and drinking wine (a natural source of resveratrol) both activate a gene which promotes healing in the body. It’s not the supplement that does it nor is it the low caloric intake; it’s the gene that produces the anti-aging benefits and until now there are few known ways to activate this gene in our bodies. I'll definately be looking into trying this supplement out. I've singled out one supplement in particular to try, Jarrow Resveratrol Synergy, as I have heard good things about it in the press and it can easily be found on Amazon. Anyway, I highly recommend reading Darwin'r in depth article on the benefits of Resveratrol and then passing the info along to others. Good stuff. Thanks Darwin! Lastly, I’d encourage you to subscribe to my blog, comment, and link to me when appropriate. I appreciate my readers and hope you feel free and welcome to contribute to the site. Thanks!